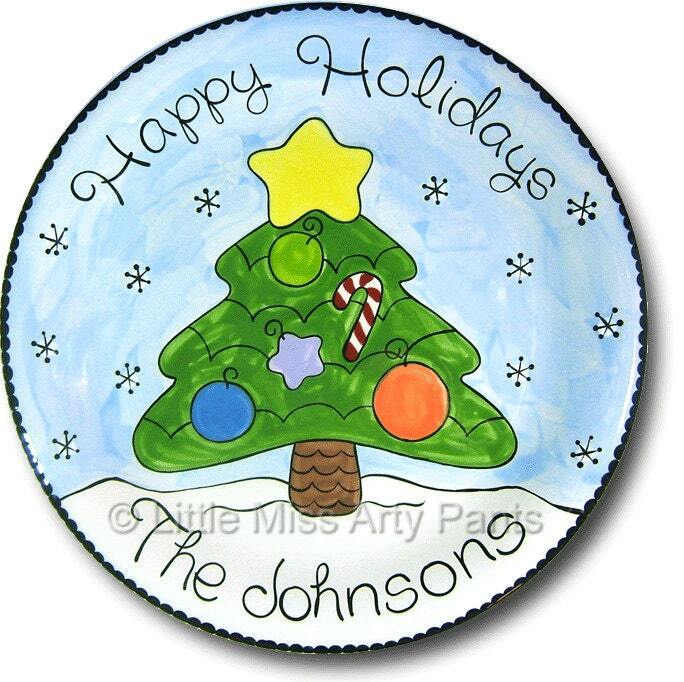 Celebrate the holidays with this 11" hand painted ceramic plate! I will personalize it just for you with your family's last name. 1. 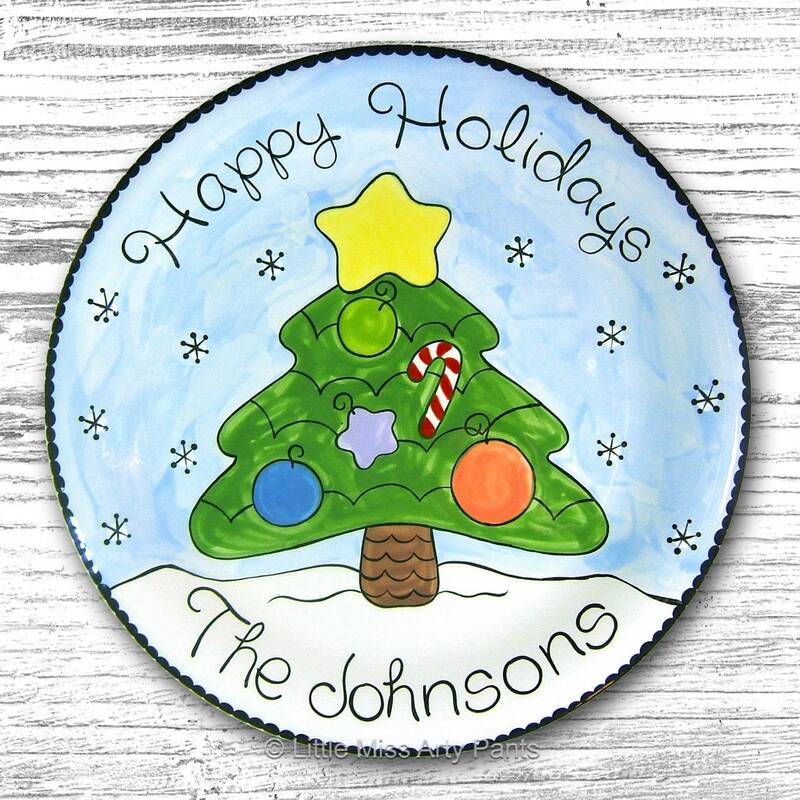 Text for bottom of the plate. 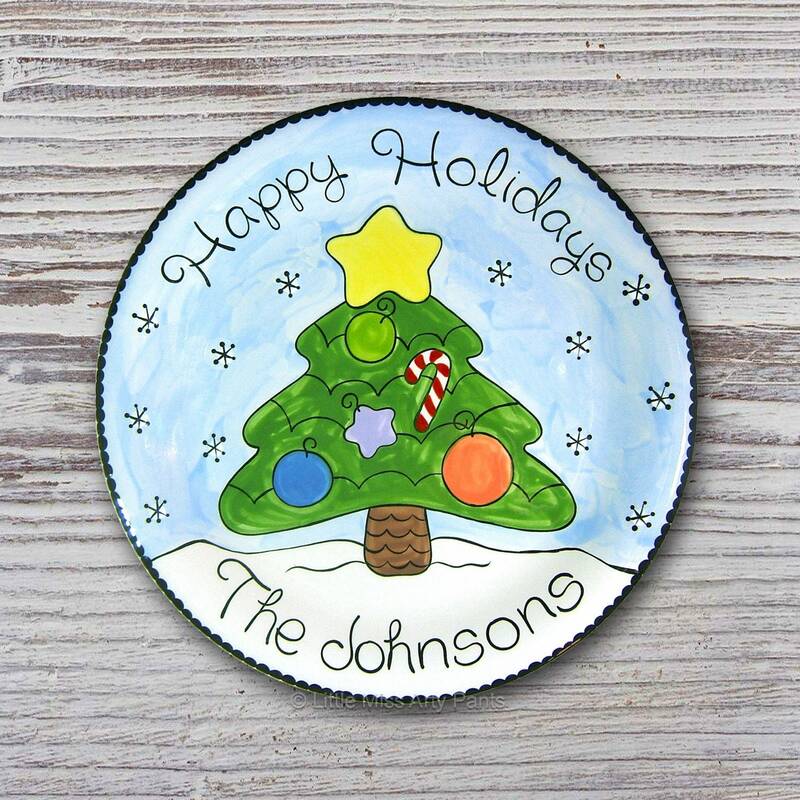 The "Happy Holidays" text will be on the top of the plate unless you request otherwise. Add year to star (optional).